More and more evidence suggest that we could potentially face runaway climate change at a much faster rate than anticipated. The videos Arctic Methane: Why the Sea Ice Matters and Arctic Death Spiral and the Methane Time Bomb presents a sobering analysis of the latest data on disappearing Arctic sea ice. James Hansen warns in a new paper that we are on the verge of crossing a tipping point into catastrophic climate change. 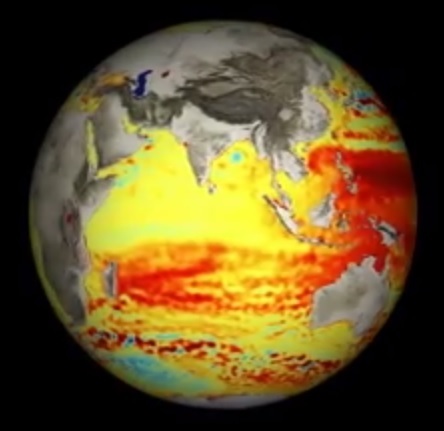 Accelerating warming may release methane from permafrost and the ocean floor, creating a positive feedback cycle of increasing warming and increasing release of methane, resulting in potential catastrophic runaway global warming. While the evidence suggesting potential runaway climate change is cause for concern, I believe the outcome will be determined by a race between climate change and change brought about by science and technology. It is clear that political change and social change will not provide solutions to climate change. Only rapid innovation in science and technology will be able to provide solutions that can deal with the rapidly increasing problems we face. We need runaway science – we need scientific innovation that can outpace the threats posed by runaway climate change. Over the last 100 000 years science has grown at an accelerating rate. The next ten to twenty years may see innovation in science and technology orders of magnitude greater than what we have witnessed in the last 100 years. Much of this acceleration may come from citizen science, from self-educated independent scientists. The greater the number of people who get involved in science, the greater the chance of a Black Swan solution not anticipated at present. We cannot depend on politicians to increase science budgets to solve the problems we face. Rather, young people need to take the initiative and follow their passion for science. 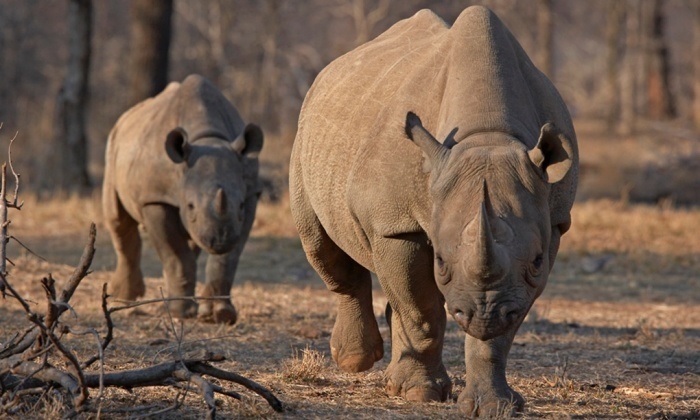 This entry was posted in 1 Tracking Science, 3 The Origin of Science, 6 Conservation and tagged Black Swan, citizen science, human extinction, Runaway climate change, runaway science, scientific innovation on 2014/01/13 by Louis Liebenberg. In The Origin of Science I address one of the great mysteries of human evolution: How did the human mind evolve the ability to develop science? The art of tracking may well be the origin of science. Science may have evolved more than a hundred thousand years ago with the evolution of modern hunter-gatherers. Scientific reasoning may therefore be an innate ability of the human mind. This may have far-reaching implications for self-education and citizen science. The implication of this theory is that anyone, regardless of their level of education, whether or not they can read or write, regardless of their cultural background, can make a contribution to science. 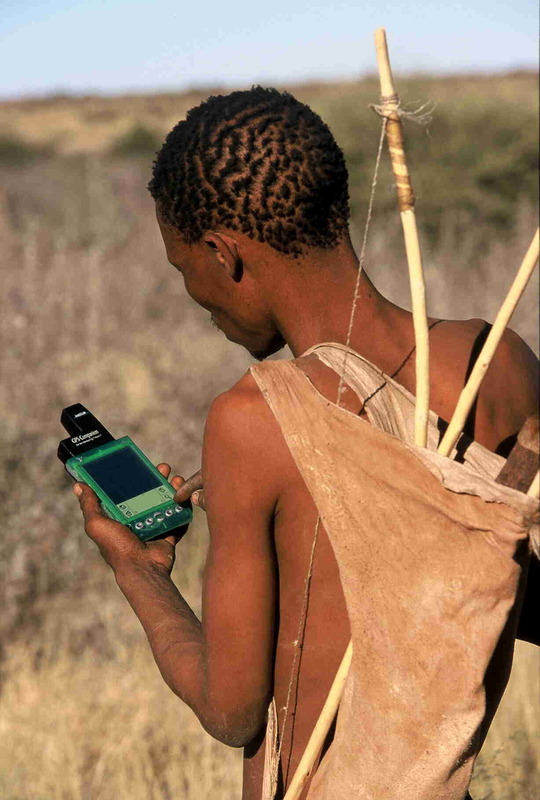 Kalahari Bushmen trackers have been employed in modern scientific research using GPS-enabled handheld computers and have co-authored scientific papers. Citizen scientists have made fundamental contributions to science. From a simple observation of a bird captured on a smart phone through to a potential Einstein, some may be better than others, but everyone can participate in science. Today humanity is becoming increasingly dependent on science and technology for survival, from our dependence on information technology through to solving problems related to energy production, food production, health, climate change and biodiversity conservation. Involving citizens in science may be crucial for the survival of humanity over the next hundred years. Scientific reasoning was part of hunter-gatherer culture, along with music, storytelling and other aspects of their culture. Science and art should be an integral part of human culture, as it has been for more than a hundred thousand years. 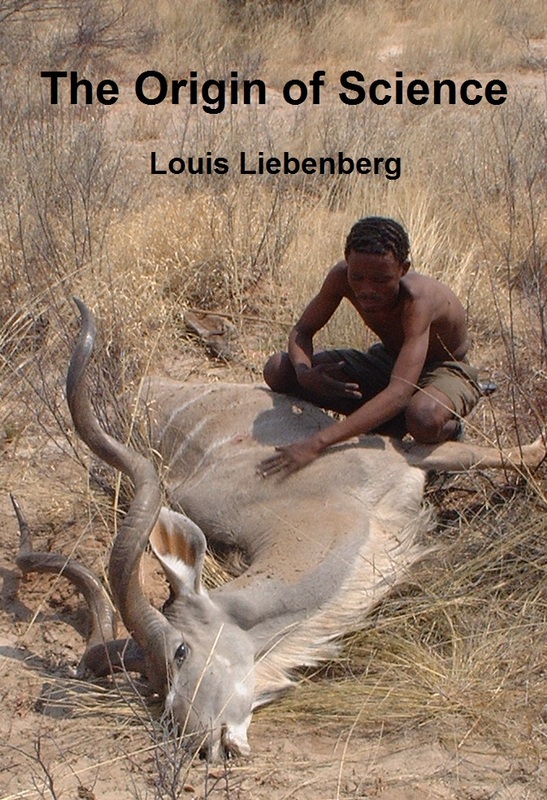 This entry was posted in 1 Tracking Science, 3 The Origin of Science, 4 The Art of Tracking and tagged 3.1 Scientific Reasoning, Bushmen, citizen science, eBook, evolution of human mind, Kalahari, Louis Liebenberg, origin of science on 2014/01/04 by Louis Liebenberg.